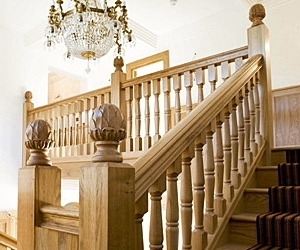 At Pear Stairs we know the huge impression a staircase renovation can make. Naturally, many people like to play it safe when it comes to such a conspicuous part of the house, but, for those who dare, there’s a whole world of possibilities open to the style-conscious home-owner. 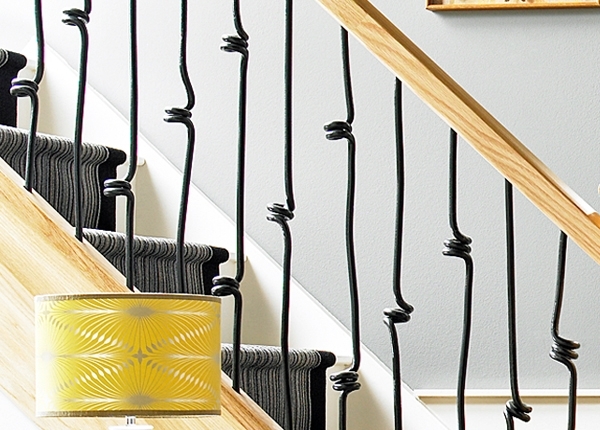 Read on for some advice on those little touches to give your staircase a unique and stylish edge. Spindles are a lovely classic feature on a traditional-style staircase, but they also hold so much potential for those looking for something a little different. Accents and designs worked into each piece can be placed in series to create patterns - which can be as regular or quirky as you wish! You can also contrast colours by - for example - deciding upon metal spindles with a black powder finish set against a pale wood handrail, or you could opt for a mixed material spindle or baluster with a beautiful variety of different woods and finishes complemented by chrome plated steel or stainless steel for a truly unusual and elegant look. You could even do away with spindles altogether and instead install tasteful sheets of toughened glass infill in their place. The major benefit of choosing a glass balustrade is that it allows a greater flow of light and suggests greater space, seeming to incorporate the staircase into the set-up of the wider room. 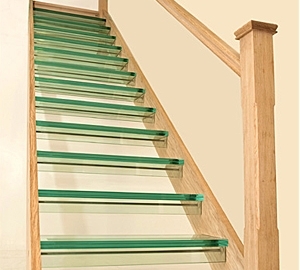 For an even more daring effect, create your own stairway to heaven by replacing standard risers with toughened glass too - in order to further increase the avenues through which light can travel and to give each tread that glorious floating feeling. You don’t need to stick with plain toughened glass either - different opacities, finishes and designs are available, and you can even opt for painted glass infill to give your stairwell a bright splash of colour. You can even opt for beautiful decorative handrail caps and brackets to add attractive accents. Whether you prefer a smooth contemporary curve or a classical floral design, these particular options offer a way to include subtle and unusual touches that family members and guests will really admire. If you want to add a little theatricality to your staircase design, there is no better way to do so than to add a gorgeous hand carved decorative finial to crown a newel post. More detailed than standard newel post caps, a finial is a purely aesthetic touch to add, and works particularly well when added to a traditional style wooden staircase. With all these unique and refreshing design ideas at your fingertips, it’s often hard to make a decision! There are even more options available on our website, so take your time to look through all the possibilities, then get to work making your dream staircase a reality. For assistance, you can call us on 01938 553311 from 9 am to 5 pm, from Monday to Friday, and speak to a friendly and knowledgeable team member, or visit our Help & Resources section to read up on the regulations, guidelines and installation tips available. You can even use the unique virtual StairCreator to try out your design ideas and get an immediate estimated quote.